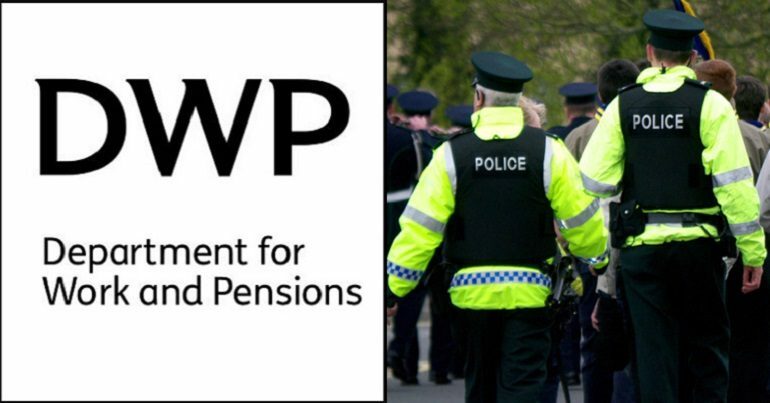 The Department for Work and Pensions (DWP) reportedly left one man so “destitute” that police were called out because of people’s concerns for his “welfare”. Nothing else is known about the man’s case. It appears that he was trying to do what the DWP asked of him, and yet the department sanctioned him anyway. The DWP sanctioned a man for missing a Jobcentre appointment, because he was at a job interview. He had informed the department first. Due to his sanction, he could not afford to go to other job interviews. It also sanctioned another man, living with learning difficulties, for not completing his job search on the computer. He hand-wrote it instead, because he did not have the IT skills to use the system. The DWP sanctioned a woman with mental health issues for missing a Jobcentre appointment. This was because her mental health prevented her from leaving the house on that day. The last example is not uncommon. Between February 2010 and February 2014, 62% of people the DWP sanctioned lived with mental health issues. More recently, as The Canary revealed, more than 83% of the DWP sanctions that went to a tribunal have been overturned. It's not the first time. We supported a disabled gentleman (deaf) who had his benefits reduced. Again, he had no food or utilities which pushed him to the brink. It's deeply upsetting. It's difficult not to get emotional over these matters. The DWP ‘pushing people to the brink’ is becoming more and more common. As The Canary previously reported, 73% of tenants where Universal Credit has been rolled out are in rent arrears. The Trussell Trust, meanwhile, says it’s seen a 52% rise in food bank use in areas where the new benefit has been rolled out. For disabled people, the UN said that successive governments have committed “grave” and “systematic” violations of their human rights – creating a “human catastrophe” in the UK. It's not fair is it. There doesn't seem to be any logic behind it. I was going to type 'unbelieveable'...but then it isn't! What's worse is fact that young man used 5gb of mobile data-hell knows that this cost him, not counting the sanction. Hope he is appealing/getting help to appeal. @raftfoundation are pointing him in the right direction. I don't know how making someone have no food or utilities and pushing them towards eviction is conducive to helping someone into work. It's counter intuitive and costs the taxpayer more in the long run in my opinion. It’s hard to argue that the DWP is not acting ‘counter-intuitively’. And with police having to clear up the mess left in its wake, the department is plumbing new depths with every passing day. – Support Disabled People Against Cuts and Black Triangle, campaigning for disabled people’s rights. – Read The Canary‘s full analysis of Universal Credit.